Upcoming webinar: Boosting Storage Performance from the Server Side » Welcome to vSphere-land! 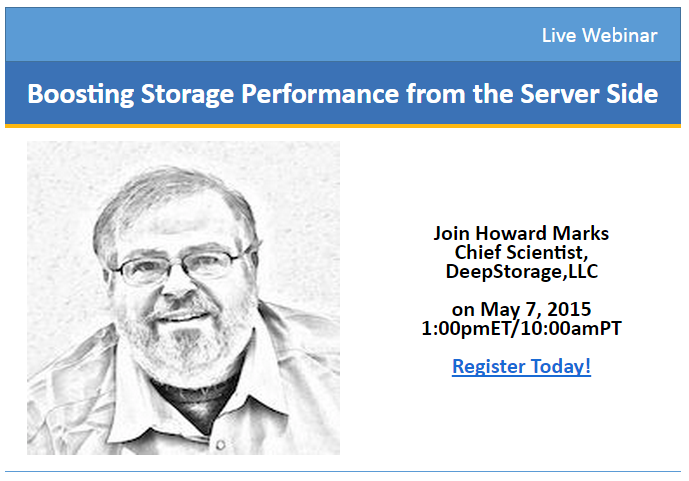 Join Infinio and the mad chief scientist from Deep Storage himself, Howard Marks for a webinar on May 7th at 10:00am PST to find out how using compute server resources to accelerate storage access can bring greater levels of storage performance and flexibility to the modern data center while simultaneously helping to keep costs under control. The always entertaining Howard Marks has decades of knowledge and experience with storage so be sure to give this one a watch to learn more about server-side storage accelerator technology. He also has a rather unique method of simulating a storage failure which you can find all about here.